A Family Festival idea might be daunting especially for our first comers, but not to worry we will guide you in giving you the best festival experience for your family. PARENTS: BAG FOR CELL PHONE IS A MUST! This year is our first year introducing a mini 2 camp. Bring along your swimming goggles and comfortable running shoes. Prep as if you are going on a normal camping weekend away. Remember head torches for the evening walk abouts. Remember to bring along a yoga matt or towel for the family morning yoga sessions. We will provide bean bags at shows but if you are more comfortable seated, please bring along your own camping chair or blanket. View the “BUY YOUR TICKETS” page for all accommodation options. Options include self camping (BYO) and different glamping tiers (from single bed tents to private king size tented villas). An extra blanket it’s always handy. March is hot, but the evenings might be cool. The days are sunny & hot so please remember loads of sunscreen/hat/sunglasses/water bottles. 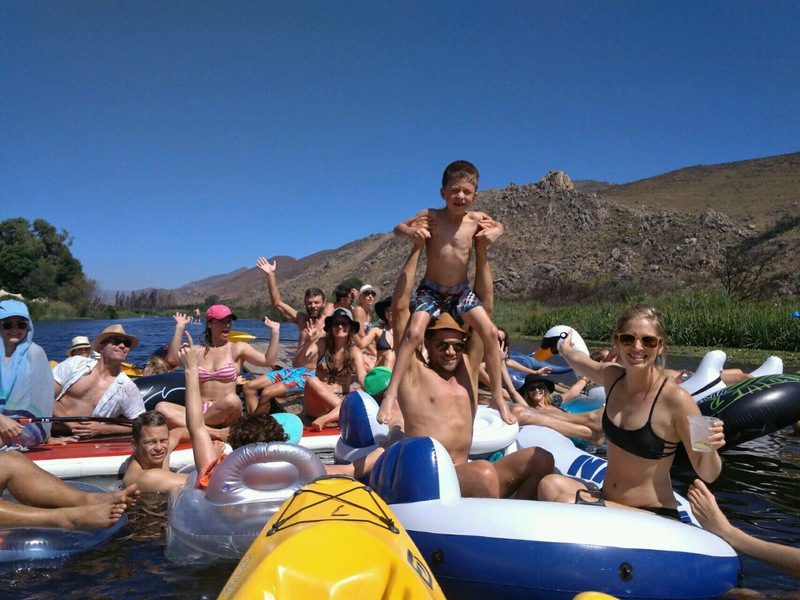 The Olifants river is all about, floating your days away on your best floating device. Don’t forget your lilo’s and other games you might be entertained with. Life jackets or kiddies inflatable arm bands if your kids can’t swim for canoeing and lilo’s. We will have loads of activities to keep you busy, so make sure you bring your best smile! Waterproof bags for the river is always a winner for your electronic devices. A reason to be the Superhero you always wanted to be! Dressing up is highly encouraged, bring out your brightest most colourful outfits to add extra bling to your experience. We have some fabulous vendors that will be selling food & drinks. Please support them. A reminder for moms to bring snacks for the toddles for those growling little wolfies. Spring water will be available, so please remember your water bottles to hydrate. Ice will be sold at the event. Remember your cooler box! The bathrooms are communal with hot showers & toilets. Although we would have loved our guests to bring along their pets, this is strictly not allowed. We will have an animal garden with pets to play with for those Wolfies who are missing their pets to much. No fireworks, and be aware of items that could be fire hazards.